There are so many music options all over iTunes and the Android market it’s almost impossible to cover them all, its harder still to come up with any that are vastly different from the other guy. I spend a rather large amount of time organizing my music collection into playlists for different activities, sometimes its a very relaxing way to pass the time, other times I wish I could just have something at the ready for that extremely rare moment I might feel like a quick jog, or when I needed a nice upbeat tempo to wake me up after not having enough sleep. 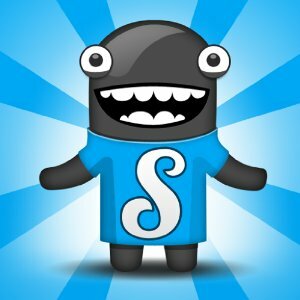 Well, here’s something new from out of the vast music universe, Songza. Songza is a unique curated music option that determines the day and time, and then decides what kind of activity you might likely be engaged in, then after you select from waking up or working out etc. Songza lets you quickly choose what kind of wake up or workout you might prefer, and Volia! The perfect soundtrack for your special moments. Songza is different, because it’s not based on the premise that if you like this, you will like that (like Pandora). It does not require any searching or organizing by you (like Spotify), you dont have to know what the heck you want, just what you want to do, and how you want to do it. Songza is simple, fun, and free. So whether you want to wake up, get high, give a massage or simply sit on the back porch, Songza lets the music flow… and you can just relax and enjoy the ride. Songza is available on the web at www.Songza.com and as an application for the iPhone, iPad, iPod Touch, Kindle Fire and Android platform.